Freycinet sandalwood, known as ‘Ili’ahi in Hawaiian, is a native Hawaiian flowering tree in the European mistletoe family. Leaves on these small trees are leathery and grayish. The green-orange flowers are fragrant. 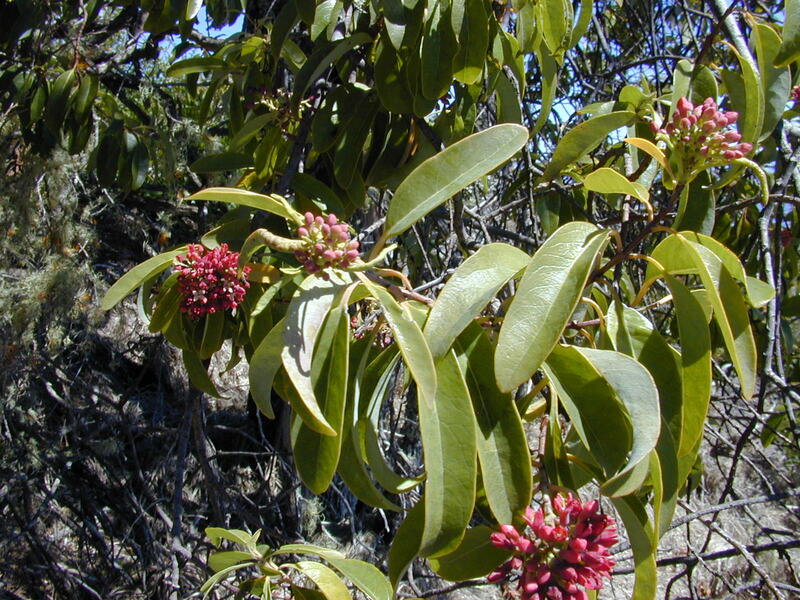 It is found in dry forests and shrublands on all the Hawaiian Islands but was exported to China in vast quantities due to its attractive smell.